Before I share with you what I find to be, by far, my best 'highlights' video yet for a conference/trade show, let me try to entertain you with a few anecdotes from this trip. 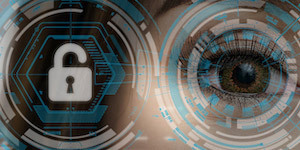 If you are not interested by my stories or maybe don't have the extra minutes needed to read them, please feel free to skip to the end of this blog post to watch the video. Traveling to San Jose from Moncton (Canada) is not straightforward. Not only is there no straight flight between the two cities but the minimum number of layovers is two. So I spent the day in planes and airports as I had to go through Toronto and Las Vegas before I could finally make it to San Jose. - (in a very loud and coarse voice) Excuse me sir, will you be serving alcohol on this flight?" The lady started with two gin & tonics and I am not sure what she got next but a couple of hours later, she celebrated the landing with lots of enthusiasm. For the flight attendants this looked just like another day at the job as I am sure it was. Toronto was a painful stop with lots of long lines. One line to access the US custom's machine that would scan my passport, followed by another line to see a custom's agent and finally another line for security. I needed almost all of my two hours to get to the gate where I only had a few minutes left to have a coffee and a muffin. The flight to Vegas was relatively pleasant due to the overall positive mood of the people on it. You could tell by the vibe in the plane that most people were traveling to Sin City for a vacation. The layover in Las Vegas was smooth. I had already cleared customs in Toronto so I had almost the full 2 hours layover to relax and have something to eat. The airport is like a little casino, packed with slot machines and although I didn't play, there was something fascinating in seeing tens of people spending long minutes (and their money) pushing buttons in the hope to win the jackpot. After a short flight between Vegas and San Jose, I took a cab to the Airbnb apartment I had booked close to the convention center. I was pleasantly surprised by the apartment. Very comfortable and lots of little attentions like beers in the fridge and snacks. I saved about $100 per night compared to a comfortable hotel in the neighborhood. 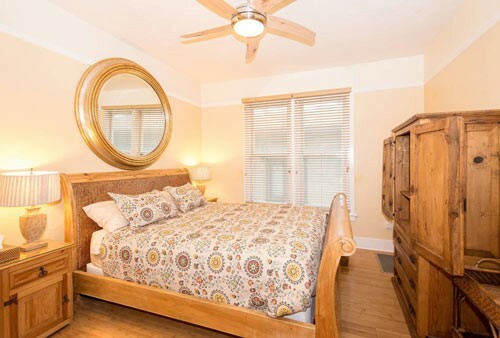 This was my third time using Airbnb for finding a place to stay and again, it ended up being a positive experience. One obvious trick is to make sure that the place that you rent has many great reviews. I went out to grab something to eat and as I walked, I started noticing electrical scooters scattered on walkways and some people driving them here and there. 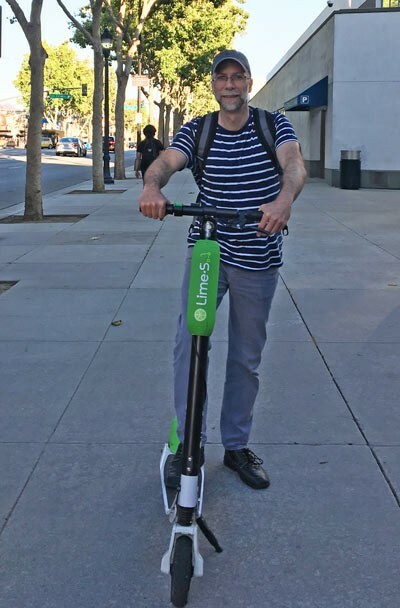 I asked a local person about them and learned that all you needed is to download an app on your phone and register a credit card to start using the scooters. I proceeded and mounted an electric scooter for the first time in my life. These scooters ended up being a true highlight for this trip. My airbnb being at about a 10 minutes walk from the convention center, I would find a scooter every morning and hop on it for a 2 minutes fun ride that would end up costing me about $1.15 ($1 to activate the scooter and for the first minute, then 0.15 per minute). I could have walked but the scooters were too fun to ride. 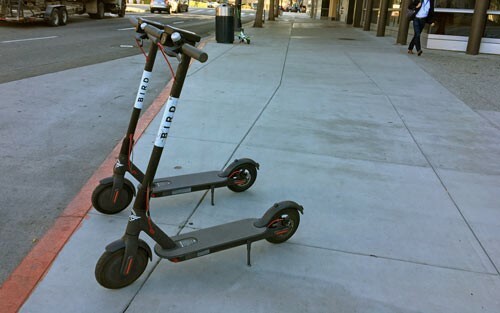 One morning, I had a hard time finding a scooter close to my apartment and I was surprised to find myself feeling annoyed - I had already become somewhat addicted (be warned!). On my first full day in San Jose, my plan was to grab and share some footage of Sensors Expo being built and then do something cool in the afternoon. My initial plan was to rent a Tesla and drive it on Highway 1, one of the world's most celebrated route along the Pacific Ocean. My last-minute attempt to rent a Tesla through Turo.com failed so I had no other option but to change my plan. I considered mr_bandit's suggestion to visit the Computer History Museum but felt more like doing something outdoor as the weather was spectacular. I found out that there was a bus going from San Jose to Santa Cruz every hour or so and I thought that would make for an interesting afternoon. After a good meal in a restaurant on the wharf, I still had about an hour left before boarding the bus. I walked a bit on the beach and contemplated the idea to dip my feet in the Pacific Ocean for the first time in my life but decided otherwise after seeing a warning sign saying that the water was contaminated and please don't swim. I didn't think it was possible but the (bus) ride back was worse than the ride coming in, thanks to a fearless-reckless driver who took us from Santa-Cruz to San Jose in what I suspect to be a record time. I had not tried any of the rides earlier in the amusement park but no ride would have provided the amount of scare the bus ride provided (I exaggerate again a bit). The bus stop in San Jose was about two miles from my airbnb apartment so I found a scooter and 6 minutes later I was brushing my teeth, getting ready to go to bed. Side note: speaking of tooth brushing, I strongly recommend a Sonicare if you don't already have one (this is not a joke). I went from room to room to capture some footage of the numerous talks happening all day and the keynotes. I went from booth to booth to film some of the most fun to watch demos. And I finally found the courage to ask some people to say a few words in front of the camera. To include testimonies in the highlights videos is something that I had wanted to do for a long time but I was afraid to ask as I didn't want to bother anyone. I personally much prefer to be behind a camera and not in front of one and I had assumed that it was the same for most. It turns out that some people don't mind being filmed and I am very glad that I finally broke the ice by asking. With all the footage that I got, I was able to edit two highlights video; one general and another one with a bigger focus on Embedded & IoT. Today, I will release the general one and in a couple of weeks from now, I'll release the other one. Here it is, my best 'highlights' video yet, I hope you enjoy! (Make sure to watch in HD and turn up the sound as music plays a very important part). 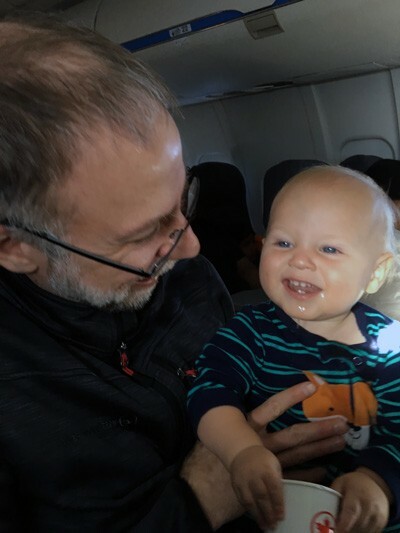 On the first return flight between San Jose and Vancouver, I was sitting beside a young and kind lady with her very happy baby. The cute little boy responded well to my teasing and ended up on my lap, making it easier for the mother to feed him with some fruit sauce while I was holding him. By the end of the snack, the little boy made it clear that he had had enough fruit sauce by throwing a bit on yours truly. The mother felt really embarrassed as I kept telling her this was no big deal (I have three kids, all teenagers now but this isn't the first time that some baby food ends up on my clothes). In any event, the mother took back the baby and I used the opportunity to pay a visit to the restroom. There was a line of three people in front of me and as I was waiting for my turn, feeling proud of myself for having been of help to a mother and her baby, I noticed that my new little friend had done more damage than I initially thought; a big, maybe 6 inches diameter, very wet spot right in the wrong place was giving the illusion that I had peed in my pants. With my crouch at about the same height as the eyes of the people sitting all around me while I waited for my turn, I looked like if I couldn't hold my pee. When I returned to my seat, I made sure to hide the situation to the mother so she wouldn't feel even more embarrassed. Nothing confirmed yet but I am looking at possibly attending ARM TechCon in October, Electronica in November, CES in January and of course, Embedded World in March. What about you? The airport is like a little casino, packed with slot machines and although I didn't play, there was something fascinating in seeing tens of people spending long minutes (and their money) pushing buttons in the hope to win the jackpot. I had the same experience in the Vegas airport about 10 years ago! I spent exactly one dollar using nickels in one of the slot machines. Much more fun watching others. Do they still have the oxygen bar in the airport? i liked your story :-) keep it up! it adds something human & personal for watching the video!